At some point or another, most drivers will end up stranded and waiting expectantly for a tow truck company to arrive on the scene to pull them out of a difficult situation. 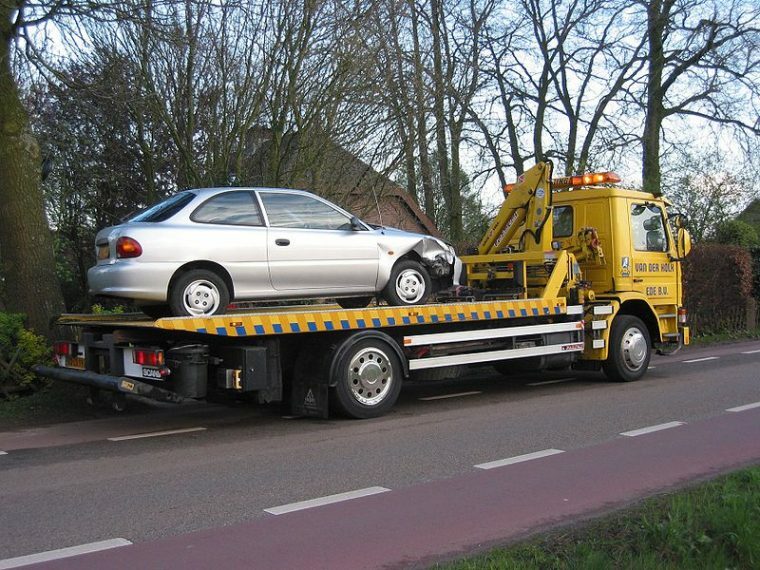 Not every tow truck is alike and the needs and specifics of your car should be considered when calling for a tow truck. A good towing company like Honolulu towing will specifically ask for your car’s year, make, and model before sending a tow truck that fits your specific vehicle. The main consideration when determining the type of tow truck you need is your car’s drive system, whether that’s front-wheel drive (FWD) or rear-wheel drive (RWD). The needs of AWD or vintage cars can call for specialized towing to reduce damage. There are two choices of tow trucks that are compatible with two-wheel drive cars: conventional hook and chain, and wheel lift. It is important that the drive wheels are the ones lifted to avoid damaging the transmission of the car. Even a car in neutral will damage the transmission if towed by the drive wheels. This means that a FWD car should be towed with the rear wheels on the grounds, and an RWD car with the front wheels on the ground. But what about AWD cars that utilize all four wheels? In this case, none of the wheels should be allowed to touch the road during towing, as this will seriously damage the 4X4 transmission. As you will see in the descriptions below, the best way to transport an AWD is with a flatbed tow truck or trailer. These systems lift the entire car off the road and carry it immobile to its destination with little risk of damage to the engine or exterior. If no flatbed trailers or tow trucks can be found, wheel dollies can be placed beneath the rear or front set of wheels while it is towed by a wheel lift tow truck. This ensures that the transmission will not be affected by the spinning wheels. Both of these methods will preserve the longevity of your AWD transmission. Hook and chain tow trucks, sometimes called wreckers, are the most conventional tow trucks. They hook themselves to the undercarriage of the car and drag it along the road with chains. The problem with this method is the greater risk of damage. Cars towed like this can collide with very small objects, have their exteriors scuffed, and see some damage where the hook and chain are connected. This is only a good option for cars in poor condition, and those wrecked beyond repair. If you hope to keep your car in good condition, go with another option. Wheel lift tow trucks also tow the vehicle on two wheels but are equipped with a powerful hydraulic yoke that lifts the vehicle off the ground. This provides better stabilization and less chance that the vehicle being towed will suffer any damage. Wheel doilies will still be needed to use this option on an AWD vehicle, and there is still some danger of collision with ground debris. The best way to transport a car is to carry the entire vehicle on the back of a flatbed truck or trailer. This ensures minimal damage to the car’s engine or the exterior. The car is pulled with hydraulics onto the back of the truck where it is fastened in place for the trip. The only downside is that getting the car in place can take some time to get right.